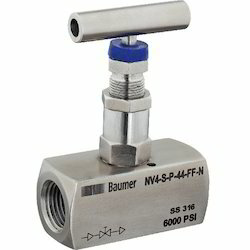 Our range of products include connector cable, two valve manifolds remote mount (pipe to pipe), five valve manifolds remote mount (pipe to pipe), stainless steel cooling tower, thermowells bar stock screwed and stainless steel siphon. 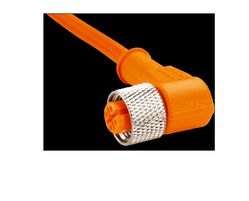 We are one of the leading wholesale distributors of Connector Cable. With threaded vertical port inlet and female outlet. The vent/test connection is positioned on the front side. The venting bonnet is positioned on the right hand side and the isolating bonnet on left hand side. With threaded vertical port inlet and outlet. The vent/test connection is positioned on the front side. The drain bonnet is positioned on the right hand side and the isolating bonnet on the left hand side. With threaded vertical port inlets and outlets. The isolating and venting bonnets are positioned on the left and right hand side and the equalizing bonnet is positioned on the front side. Designed for remote mounting. We are one of the leading wholesale distributors of Stainless Steel Cooling Tower. temperature process fluids or vapours filled with condensation fluids. 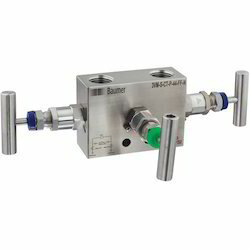 These are mounted between process and pressure instrument. 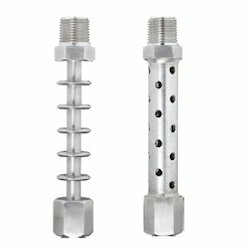 We are one of the leading wholesale distributors of Thermowells Bar Stock Screwed. 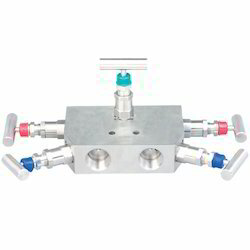 These Thermowells are manufactured from solid bar stock and installed into the process with the help of threaded process connection. Available in various shapes like Straight, Straight with reduced tip, partial taper & full taper. With threaded vertical port inlets and outlets. The isolating bonnets arepositioned on the left and right hand side and the equalizing bonnet is positioned on the front. 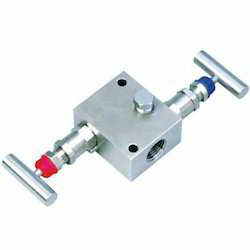 This manifold is specially designed as miniature valve to be remote mounted. 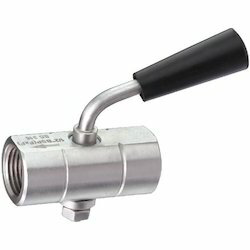 We are one of the leading wholesale distributors of Stainless Steel GaugeCock. Safety Feature Back seating for preventing stem blowout. 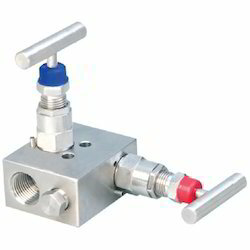 Type needle valves with hard seat are designed for use on applications requiring complete isolation or throttling of the media. The conical metal tip (Stem Type CT) press fitted ensures perfect alignment for positive bubble tight shut-off. 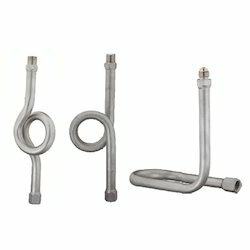 Available with end connections in sizes from 1/8”to 1” and a wide choice in connections of female screwed, male screwed,male to female screwed or socket weld.